Thanksgiving is only a few weeks away, and you want to make sure that your entire family is there to enjoy the feast. Call 866-736-6977 or visit with a local bail agent at 631 East Rialto Avenue, San Bernardino, California 92408. The holiday season is upon us, and Thanksgiving is only a few weeks away. Large family dinners are coming our way, and they would not be the same if someone had to miss out. This is especially true if that loved one was arrested and forced to spend the holidays behind bars. You probably want to get him or her out of jail. You do not want your loved one to miss out on the festivities. If you want your loved one out of jail in time for Thanksgiving, you need to get the bail bond process started right away. This means that you need to talk to a professional bail agent at Chino Hills Bail Bond Store. Our bail agents work around the clock to help out our clients. We will always be ready to begin working for you. With our help, your loved one can be out of jail that very day. In some cases, depending on the county of arrest, your loved one can be out of jail in as little as 2 hours. No other bail bond company will work harder for you than we will at Chino Hills Bail Bond Store. With our help, you will be able to get your loved one home in time for the holidays. 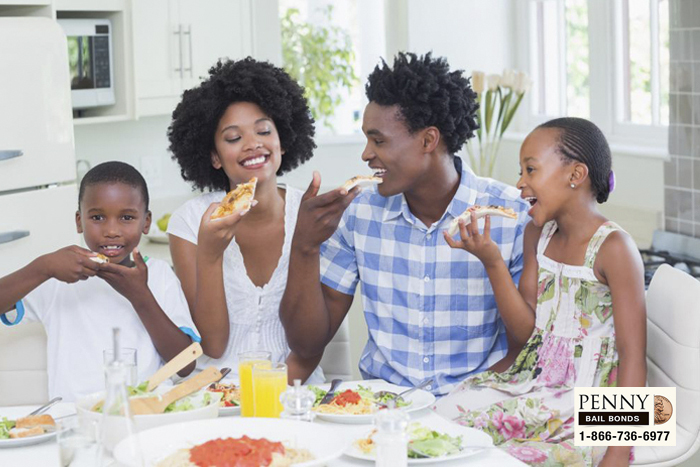 You will be able to enjoy a nice family dinner with your entire family. There will not be any empty seats at the table, and it will all be thanks to you. Do not wait another second, call 866-736-6977 or click Chat With Us now.